We had the pleasure of meeting Palm Beach Gardens local lawyer, Jeff Vastola, through a networking group. Jeff reached out to us to assist with building up his firms social media platforms such as Facebook, Twitter, and Instagram a long with helping optimize his current website. 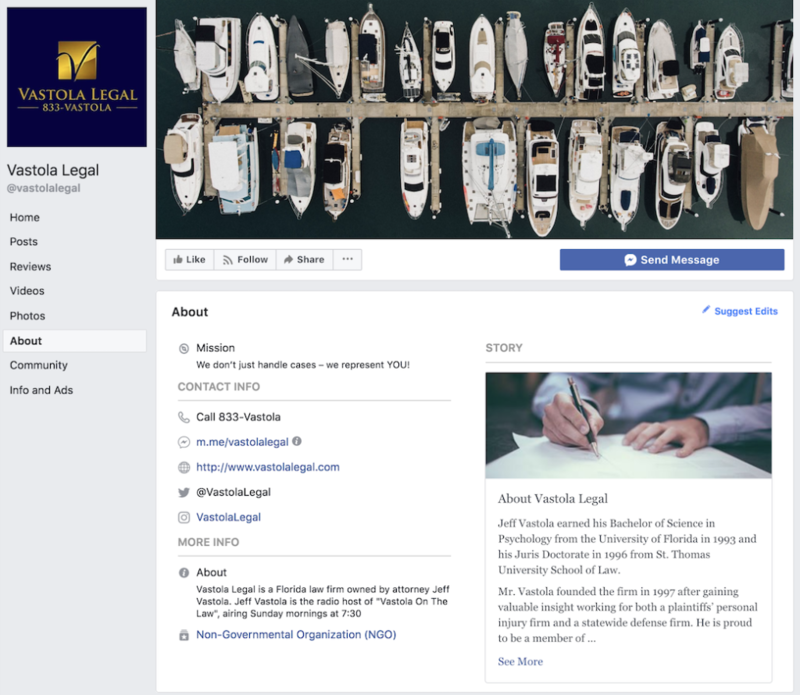 Through coding and blogging, we are allowing Vastola Legal’s site to be more easily found and accessible to those looking for a local and reputable lawyer in Palm Beach Gardens and Stuart, Florida where the firm has its locations.